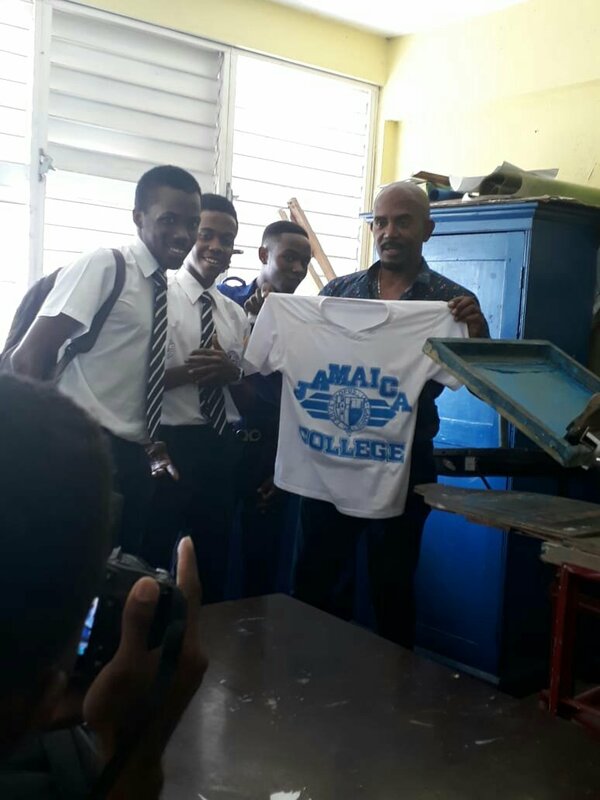 Being at Jamaica College the opportunities are endless in the words of our Principal : “We are College Men and we are good at everything.” This reality is not by chance its by design. Speaking of design, the Art Club got a special visit that is worth a quick mention and web-print. Mark Cameron, JC Old boy and Artist stopped by to give our boys a session on screen printing. Looking forward to seeing these skills later this week at champs. Do you feel the blue imprint of excellence in the Air. Thank you Mr. Cameron for your insights and philanthropy. Work is Burning in the Field!